Change application name of "TV SideView" to "Video & TV SideView"
Verify that the size of the "sony_tvupdate_2015_5433_hkb_auth.zip" file is "1 513 273 843" bytes. After you extracted the downloaded file, you will find the file "sony_dtv0FA50A09A0A9_00014B00_153900b7.pkg". 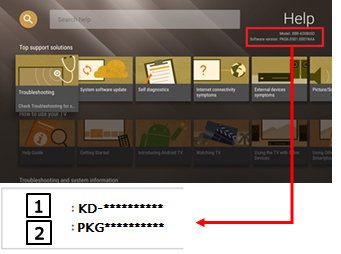 Copy or drag and drop the file "sony_dtv0FA50A09A0A9_00014B00_153900b7.pkg" to the root directory of your USB device. Insert your USB storage device containing the file "sony_dtv0FA50A09A0A9_00014B00_153900b7.pkg" into a USB port of the TV set.